Home Blog Valenta BPO Closes Its Very First Franchise Deal With the Assistance of an FBA Broker! Have you ever heard of a staffing company that provides process consulting, digital transformation and outsourcing services, either with full time dedicated staff or part-time, from India and Malaysia? Well, now you have. Valenta BPO is a multi-faceted company that provides outsourced staffing solutions for a number of businesses across many different business segments. Since Valenta BPOs origination in 2011, they have expanded globally and are currently helping hundreds of businesses across the United States, Canada, United Kingdom, Australia, and New Zealand cut costs and improve efficiencies by outsourcing their non-critical tasks to them. 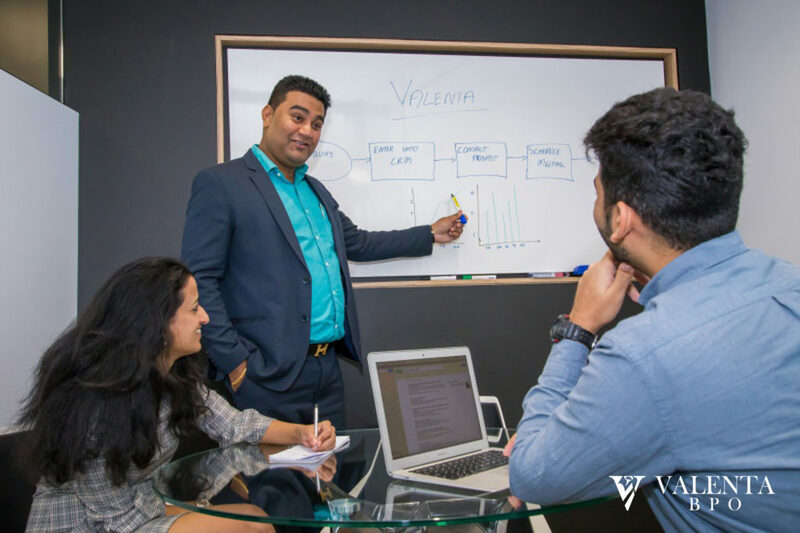 Just recently, Valenta BPO decided to expand even further by offering entrepreneurs and industry specialists an exciting outsourced staffing franchise opportunity. Due to the varied nature of their services, a Valenta BPO franchise is perfect for anyone with good knowledge of any industry. So what makes Valenta BPO so unique? That’s exactly the question FBA Broker, Wess Doss, was faced with when he met a client that had seen a Valenta BPO satellite office in New York City and approached him about the company. Wess’ client was a successful corporate lawyer and had specialized in banking and consumer finance law for the past 15 years. His client had reached a point in his career where he did not see future growth potential and started entertaining the idea of franchise investment. The clients’ key goals were to find a concept that would be financially rewarding, allow him to build a legacy, and could be scaled for future growth. After seeing the Valenta BPO satellite office and having done some initial research on LinkedIn and the web, his client thought this could be a perfect concept. Wess knew the Valenta BPO concept fairly well, so when his client approached him he was able to quickly share some of Valenta BPO’s unique differentiators with him and help guide him through the discovery process to assess whether it was a viable business option for him. A few other perks that Wess felt were very compelling from an investment standpoint included no fee payments for the initial 6-months of operation. This is to ensure that each franchise is able to get a positive cash flow going prior to having to pay their monthly fees. Additionally, this is a recurring revenue model since clients will be signing up for services for a period of time. Although Wess’ client was ready to leave the corporate world behind and dive in 100% into his new business, Valenta BPO’s business model does allow for franchise owners to initially develop their franchises part-time until it becomes profitable enough to make the switch to working full-time. What’s most impressive about this business model is the time it takes to get up and running. Within one-week of Wess’s client’s official signing of his franchise agreement with Valenta BPO, he was in India for his initial 5-day training course. Upon completion, his client will have all the tools in place to successfully launch his businesses. Talk about quick! Now that Valenta BPO has successfully secured its first franchise in New York, we’re confident that this is only the beginning for them. Congratulations to FBA Broker, Wess, and Valenta BPO! If you are interested in learning more about this concept and what it takes to be a Valenta BPO franchise owner, contact FBA at 888-317-7429.